It’s often said that variety is the spice of life- literally, in the case of food. Ethnic food is one of the best ways to “spice up” your regular restaurant routine. It doesn’t matter if you’re from St. Louis or only visiting; there are several choices to get your ethnic food fix without leaving your table. This authentic Syrian restaurant is located in St. Louis’s Delmar Loop and is a double threat by being a trendy hookah bar at night and having exotic dinner platters. Ranoush organizes its menu by hot or cold “mezza” (or dishes), ranging from tabbouleh (a type of parsley and tomato salad tossed in olive oil and lemon juice) to batata harra (potatoes stuffed with peppers and spices). Many of the dishes are vegan friendly, and the menu describes all mezza for diners not familiar with Middle Eastern cuisine. I highly recommend dessert; Ranoush’s baklava is sweet and delicious! Thai Sawadee is a cozy restaurant in St. Louis’s western suburb of Chesterfield, close to the Chesterfield mall. 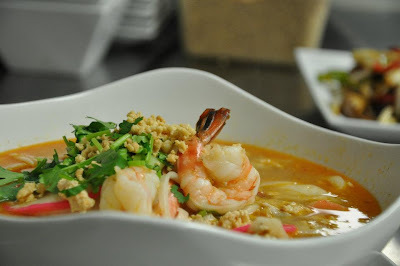 Thai food has a distinctive taste, different from all other types of Asian cuisine, and Thai Sawadee does an excellent job of bringing these flavors into interesting lunch and dinner specials. My personal favorite is pad thai, which is a dish of pho rice noodles infused with a tangy sauce topped with egg and vegetables. This dish, along with many others, can be ordered with beef or chicken, or made vegetarian with extra vegetables or tofu. I also recommend ordering Thai iced coffee, which is a sweet cream and coffee drink that goes great with the spiciness of some of the dishes. Zia’s is located in the heart of St. Louis’s traditionally Italian district, called “The Hill.” Zia’s offers many of the traditional Italian pastas, but its huge and diverse menu also includes signature dishes (including toasted ravioli, a nod to a St. Louis favorite). Lunch or dinner at Zia’s is a hearty meal, especially with their mouth-watering garlic bread and savory “ensalatas” included alongside your entrée. Zia’s wide range of options and authentic Italian flair does The Hill proud and represents the best of the area’s culture and flavor. Also located in Chesterfield, the Mediterranean Grill offers a range of dishes with a blend of Greek and Mediterranean cuisine. 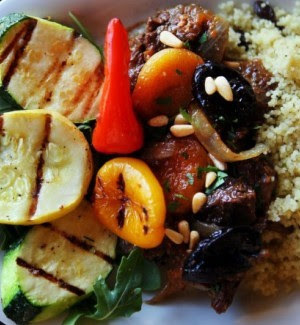 The Mediterranean Grill offers entirely different lunch and dinner menus, with lunch specializing in gourmet sandwiches and dinner focusing on traditional dishes. Although I enjoy both menus, I recommend that first-timers visit the restaurant during lunch, when the prices and the dishes are better. The Mediterranean Grill’s sandwiches are unique and delectable; my favorite is the Santorini, an amazing blend of feta cheese, kalamata olive spread, peppers and basil. Meat-eaters may enjoy the chicken souvlaki, which is served in a pita with feta, onions and olives. I recommend the dips and “Spreads Sampler Plate” to share with your lunch companion.